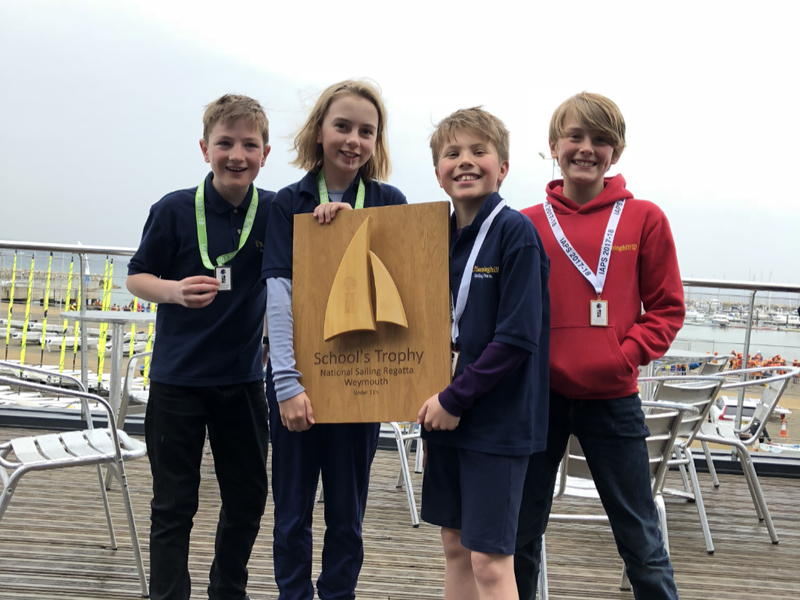 Pupils from Sunninghill Prep School in Dorchester have triumphed for the second year running at the annual under 11 Independent Association of Prep Schools Sailing Regatta which was held at the Andrew Simpson Watersports Centre Portland last month. The extremely competitive event saw schools from across the UK take to the water in very challenging conditions. Racing started in dramatic style with strong winds gusting 27 knots. In the first race the Sunninghill boat crewed by Archie and Val capsized but they skilfully managed not to lose any places and achieved a 2nd place finish. 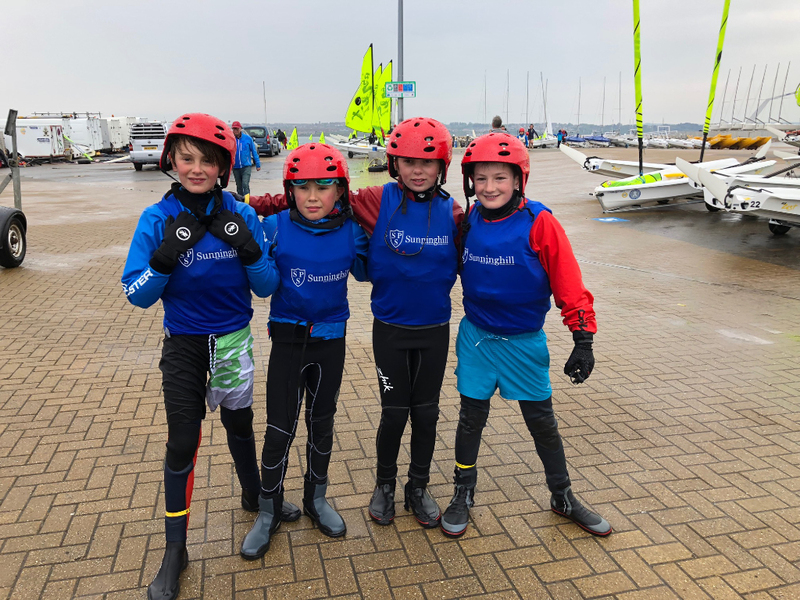 Unfortunately, the second Sunninghill boat crewed by Erin and Gabriel rolled downwind and while Gabriel managed to cling on to the boat Erin was unable to get back in quickly resulting in an 8th placed finish. The second race saw Sunninghill victorious as Archie and Val won the race with Erin and Gabriel placing 3rd. In the third race, Erin and Gabriel picked up the win with Archie and Val coming in 3rd. In the exhilarating fourth and final race, the wind became even stronger but this didn’t stop Gabriel and Erin claiming a fantastic 2nd place and Val and Archie achieving 4th. The whole event ended in a tie, which meant that it came down to who did best in the last race. That resulted in Erin and Gabriel placing 2nd overall and Archie and Val placing 3rd. This meant that Sunninghill Prep School came 1st overall.